Updated on December 12, 2018 (Post final rankings). This post has not yet been completely edited or finalized due to the nature of the constantly-changing information it contains. I am posting it as a rough-draft in order to make sure the information is relevant and timely. I will try and update this post as necessary; please bare with me as the in-season information is constantly changing. 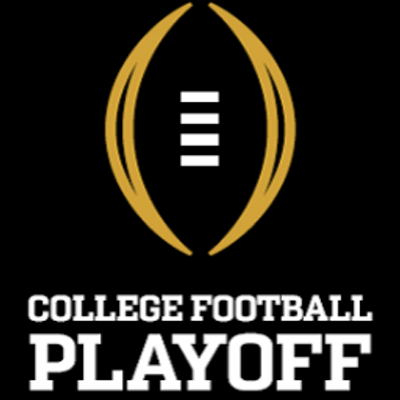 This post reviews what has happened in prior CFP decisions, tries to digest those decisions into some kind of logical explanation, and then considers possible scenarios for the upcoming CFP. While I don’t believe the CFP committee wants there to be a “precedent” which would dictate how a particular CFP decision should go, it is fascinating to watch the decision making process as it plays out. Also, whether they like it or not, if the committee takes a particular course of action over and over, or makes the same type of decision based on the same criteria, they are effectively setting some kind of precedent. It may not be precedent that they are required to follow, but reversing course and making decisions that are completely contrary to their own prior decisions (with no logical explanation) will have potential negative effects on the CFP. Here are a couple of teams that received a lot of pre-season hype. As of right now, I am not buying into the excitement . . . but that could change. Tennessee: I hope the Vols do well this season, but I will believe it when I see it. Arizona State: I think ASU could be a good team but I don’t understand why they started out with a top 15 ranking. Baylor: I think Baylor will be a playoff contender, but with their current schedule, I just can’t take them seriously. Maybe I will start believing once they defeat a quality opponent in a bowl game. Notre Dame: They looked very good against the Longhorns in their first game of the season, but that isn’t saying much. I hope they do well, but am not yet sold that they will make a run at the playoff. I could be wrong. Auburn: With the loss of so many key players from 2014, an 8-5 (4-4) record last year, and a mediocre opening 2015 game against Louisville, I just don’t understand all the hype. Update: I believe I was arguably right on 1-4 above. However, there is no question that I was right on Auburn. Auburn finished in last place of the SEC West (7-6, 2-6). Playoff Pundit: Auburn wins first playoff game! With Auburn ranked No. 3 and Ole Miss No. 4 in the first playoff poll, their game tonight was the first head-to-head match-up between two playoff bound teams. In other words, their game was essentially a playoff game, as I can only imagine that the winner would still be considered for one of the four playoff spots (the loser would have two losses, as both teams already had one loss entering the game). Auburn ended up defeating Ole Miss, 35-31. It was a close game, so it will be interesting to see what the playoff committee does with Ole Miss in terms of how far down the rankings they move them. On the other hand, No. 2 Florida State struggled Thursday night against No. 25 Louisville and No. 1 Mississippi State struggled against Arkansas, so it will be interesting to see if the top three get shuffled. Finally, No. 5 Oregon won their game against Stanford, 45-16. With No. 6 Alabama having a bye-week and No. 7 TCU winning 31-30 over No. 20 West Virginia, I can only imagine that Oregon will assume No. 4 playoff spot/rank. For those of you who want to understand all of the idiosyncrasies of the playoff selection process, I would like to recommend two readings for you. Consider this your recommended reading list in your “Playoff 101” course. 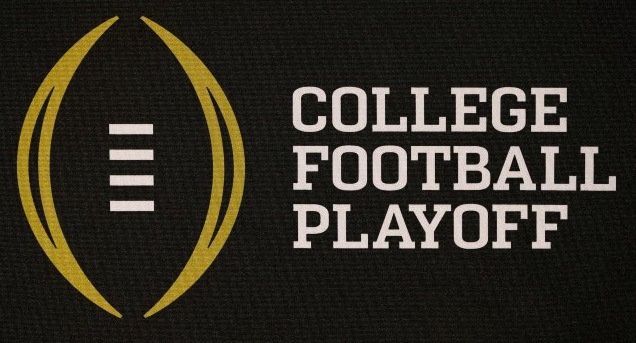 Yesterday, (28 Oct. 2014), the college football playoff committee released its first rankings for the 2014 season. You can see the rankings in PDF format HERE, or on their website HERE. In the past, during the BCS era, I would make weekly observations of the BCS poll as it was released. I am going to try and do the same with the playoff poll. Upon seeing the first playoff rankings, I was surprised to see Ole Miss (7-1) at number four. I have no problem with Ole Miss in the number four slot, but I thought their loss at LSU this past Saturday night would have put them further down the list. After all, LSU (7-2) comes in at 19 in this initial ranking. If you are thinking that only the winner of the Ole Miss – Mississippi State game will get a playoff spot, think again! Mississippi State (7-0) is ranked number one, and is scheduled to play Ole Miss on November 29. If these two schools meet with only one loss between them and still ranked in the top four of the playoff rankings, it will be interesting to see what happens if Ole Miss defeats Mississippi State. I mention this because if Ole Miss’ loss to LSU isn’t enough to knock them out of the top four, then logic would dictate that a Mississippi State loss to number four Ole Miss shouldn’t be enough to knock Mississippi State out of the top four either. (In this scenario, it would be Mississippi State’s first loss on the season, and losing to number four Ole Miss would be a better loss than losing to LSU). While this is the first ranking of the season (and first ranking ever), there is a lot that could happen between now and Nov. 29. However, if this Mississippi scenario were to play out, it would be a good indicator for judging the playoff committee’s consistency in terms of ranking teams. While many probably didn’t expect to see Ole Miss in the top four after their loss to LSU, it is apparent that the selection committee isn’t going to “punish” teams for a loss like the AP and Coaches’ Poll usually do. For example, before their loss to LSU, Ole Miss was ranked No. 3 in both the AP and Coaches’ Poll. However, after their loss, Ole Miss dropped to No. 7 and No. 9, respectively. Despite these No. 7 and 9 rankings, Ole Miss debuted at No. 4 in the playoff poll. Mock selection exercise raises issues actual playoff committee will face, by Andy Staples of SI.com, Friday, October 10, 2014. I highly recommend his article to anyone who really wants to understand how the process of selecting playoff teams will work. Yes, I am analyzing the new national championship trophy. However, if you have been reading my site and if you know me at all, you know that I have a particular fascination with all things college football trophy related. So the College Football Playoff unveiled its national championship trophy on July 14, 2014. While I like the new trophy (and I think it will continue to grow on me), it is no where near the trophy that was given out during the Bowl Championship Series (BCS) era (see the AFCA National Championship Trophy). There is something so simplistic and fantastic about the crystal football that was awarded to the BCS champion, which was not captured in this new trophy.